Few sensations can beat the feeling of coming home after a long day and sliding into a pair of cozy slippers, and nothing warms up a chilly winter morning like supple sheepskin on the toes. For footwear that slips on quickly and warms up your feet, our selection of men’s slippers and house shoes is hard to top. From treaded men’s slippers that can be worn outside to luxuriously toasty sheepskin slippers to lightweight moccasin slippers, you’re sure to find something that will fit the bill. 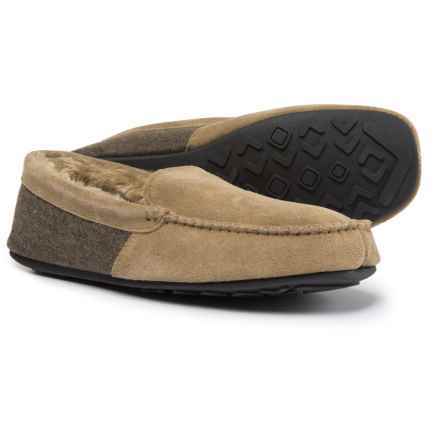 Whatever tickles your toes, our selection of men’s slippers and house shoes from brands like Acorn, Woolrich and L.B. Evans is made to keep you in the comfort zone.